They say that every chess master was once a beginner. 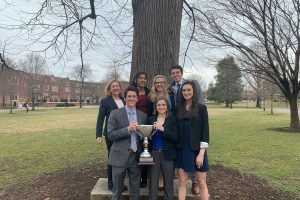 And with the success of the Lexington City Schools chess team, led by W&L law professor Bob Danforth, one expects that some of those students may one day reach that rarefied air. The students from Waddell Elementary are coming off their best season to date, taking second place in the Virginia state tournament in both the K-3 and K-5 divisions. Of course, this success is many years, and many volunteer hours, in the making. 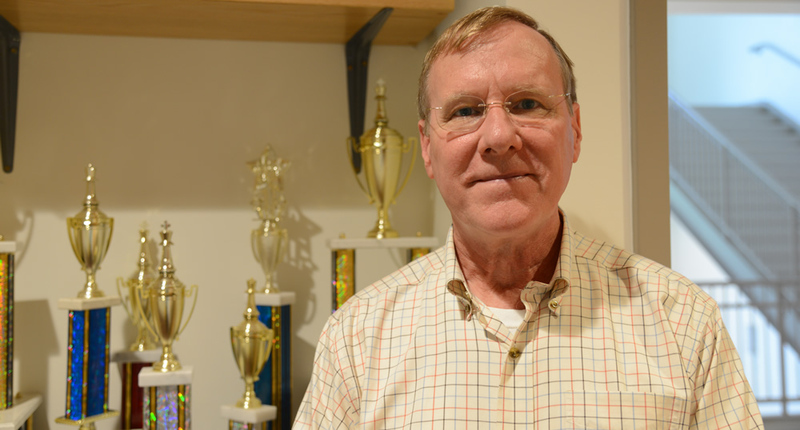 It all started seven years ago, when Danforth’s son developed an interest in chess and joined an informal club at Waddell organized by W&L English professor Chris Gavaler. Danforth eventually took over the club, developed a chess curriculum, and began to take teams to tournaments hosted by Roanoke City Schools. From the outset, the Lexington team established a reputation for winning, but also for great sportsmanship. This is something that makes Danforth especially proud. The success of the team really is a story about the importance of service by W&L faculty in the community. In addition to Danforth and Gavaler, law professors J.D. King and Michelle Drumbl have helped coach the team, which is now split into beginner and advanced squads. Geology professor Jeff Rahl is currently coaching the beginning players, and Danforth and Drumbl together coach the advanced group. Through the years, the young players have also received help from W&L law students, including Roman Brusovankin ‘14L, Anthony Maparara ‘15L, Zachary Imboden ‘17L and rising 2Ls Junior Ndlovu and Michael Donahue. Not content to sit on the sidelines at this year’s state tournament, Ndlovu and Donahue competed for W&L in the college division. Members of the Waddell chess teams with their trophies from a recent competition. That Danforth has helped guide the team to such great success is no surprise to students and alumni at the law school, where Danforth is a seasoned instructor of one of the most demanding subject areas, tax law. Danforth says analyzing a complex chess position is not dissimilar to analyzing a complex portion of the tax code. “Both skills require great patience, careful attention to detail, and an understanding of how independent parts, whether they be chess pieces or regulations, interrelate,” he said. Like many players from his generation, Danforth developed an interest in the game when chess phenomenon Bobby Fischer became the first American to challenge the world’s top players, winning a world championship in 1972. Danforth has played off and on through the years, but found his interest reinvigorated by coaching the young players, many of whom can now best him on the board. “As both a game and an intellectual exercise, playing chess furthers many important goals, including improving students’ concentration, self-discipline, logical thinking, short- and long-range planning, and understanding the consequences of making good and bad decisions, ”said Danforth.